By choosing to study abroad, you have taken a bold step to immerse yourself in a different culture for the purpose of learning. This adventurous and courageous act sets you apart from other students who may never explore the world around them and the energy and enthusiasm required to get you this far are qualities that will help you be a successful student. The initial thrill of international study, however, may wane if unfamiliar cultural systems, customs, and languages begin to overwhelm you. That's why we're here to give international students a few tips on how to adjust to American college culture. American students’ strong sense of individualism is also apparent in the classroom. Students assert their opinions and question professors easily and vigorously. This is the result of both the American commitment to the sovereignty of individual opinion and a tradition of challenging authority. 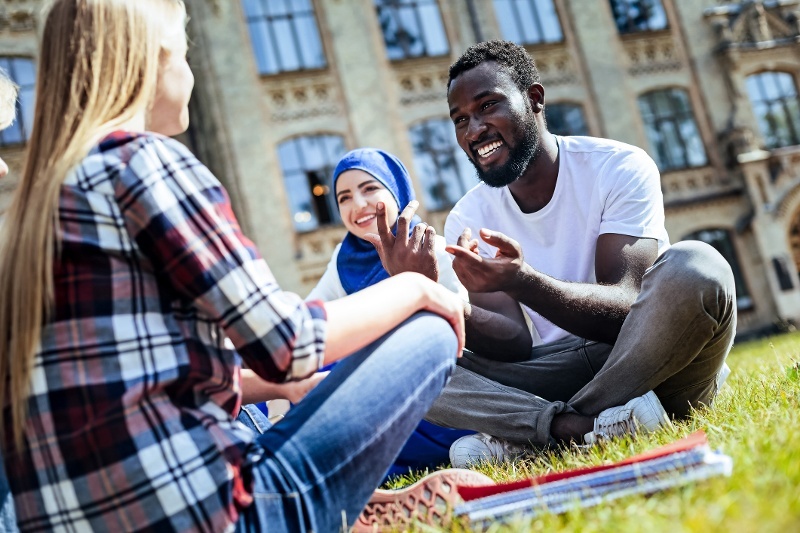 International students may find this behavior aggressive and disrespectful, which at times it may be, but it is important to understand the underlying cultural drive to be heard. Questioning authority and trusting individual perceptions of reality are particular points of pride in American society and when employed wisely enhance the classroom environment with the free and respectful exchange of ideas. Another aspect of the classroom that some international students may find jarring is informality. Students and professors alike tend to dress and behave casually with one another. In classrooms, it is not unusual for people to speak without raising their hands, to address the professor by his or her first name, to debate with classmates or the professor, or to eat and drink in class. Professors tend to make it clear by example or by explicit statement, the level of formality they expect in a classroom. If you are uncertain, ask your professor what classroom behavior he or she expects. Dedicated American students tend to be competitive and driven. American students tend to take on a lot of work and tend to be involved with many different academic, extra-curricular, and social activities. You may find this frenetic pace a bit overwhelming (so do many Americans!). The focus on individual achievement results in the culturally conditioned drive to achieve as much as possible in as many areas as possible with the hope of enhancing personal growth and occupational prospects. The drive to earn money is powerful, and as a result you will see that many students do what they can to make themselves more marketable in the American workforce. Don’t be shy. Speak in class as much as possible. In some countries, it is best to sit quietly while the professor speaks. This is not the style in the United States. Here, students are expected to speak during class. If you don’t understand part of the lecture, ask the professor to clarify. If the professor asks the entire class a question and you know the answer, raise your hand and answer the question. Don’t worry if you are not a native English speaker! American students are increasingly accustomed to hearing fellow students speak with foreign accents. If you are not comfortable asking questions during class, make sure to ask the professor your questions immediately after class or during the professor’s office hours*. Participate in classroom discussions and ask follow-up questions. These are important to doing well in classes. Make sure to attend all your classes regularly. Definition: A time when the professor is in his/her office and available to answer students’ individual questions about lectures, assignments, or exams. If you cannot attend a certain professor’s office hours because of a class conflict, ask the professor for an individual appointment time. Are you thinking about making Neumann University your home? If you're thinking about coming to America to study at Neumann University, we invite you to contact Jen Mintzer in the International Studies Education Office (BMB 114B) by email mintzerj@neumann.edu or by phone 610.358.4547. 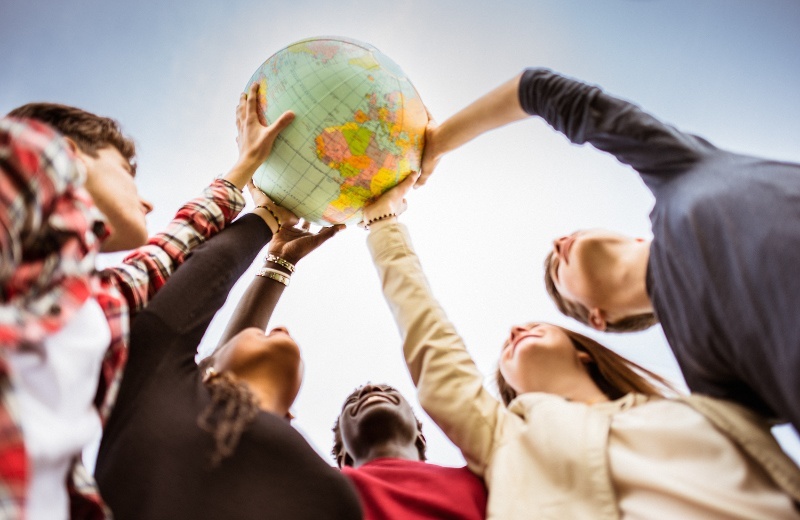 Whether you're a transfer student, an international student, or first-generation college student, Neumann is dedicated to preparing the next generation of leaders — in a variety of ways. We hope to hear from you soon!